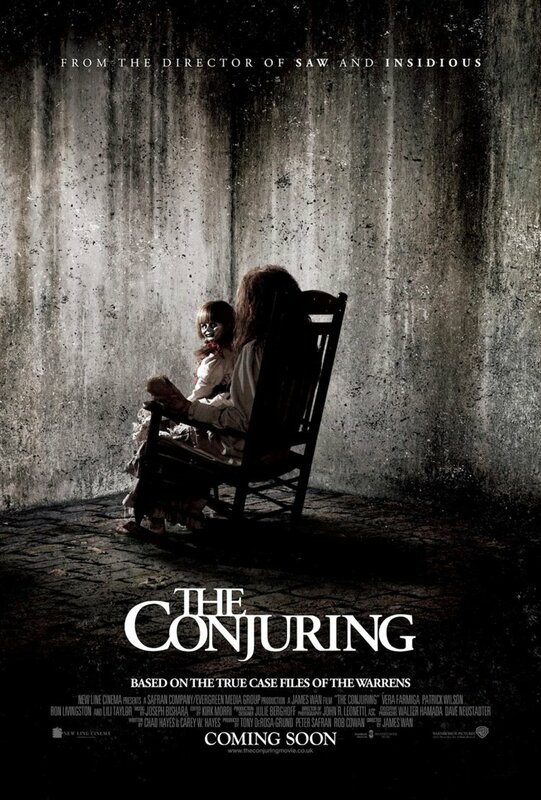 The Conjuring is about the Perron family who moves to a new house and right away something’s off. The dog the next day after they get there is found dead next to the house. They also experience noises, banging in the walls, and voices. The family then calls two paranormal investigators named Ed and Lorraine Warren. They quickly find that this isn’t a normal haunting but a satanic haunting which is trying to take a soul from them. The paranormal investigators decide to set up heat-sensor cameras and bells so they will know where the demon is. Can Ed and Lorraine get rid of the demonic presence or will the demon take a soul? Find out in The Conjuring. Pros: Very scary, great characters/ cast , good ending and a very smart thriller, which you don’t see much now a days. It also has almost no digital effects which made it more realistic. Background Information: This is based on the true story about the haunting of The Perron family. Ed and Lorraine Warren are also real paranormal investigators. They also investigated The Amityville Horror and the Enfield Haunting. Some movies based on their investigations are The Conjuring, The Conjuring 2, A Haunting in Connecticut, and The Amityville Horror.